The 2010 FIRST National Conference was recently held in Orlando, Florida. As expected, this was the best attended and most exciting conference to date! Well over 400 registrants weathered the Orlando heat to be a part of this fantastic event. 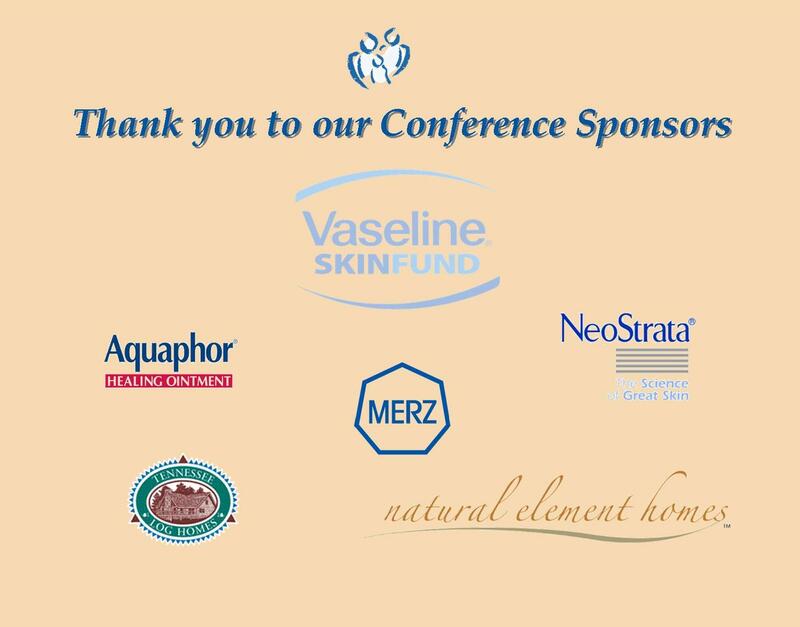 Thanks to the sponsorship of the Vaseline Skin Fund, 12 families attended the conference for the very first time. It was so heart-warming to see affected children meet other children with the same skin condition for the first time. The conference weekend kicked off with a pre-conference meeting of ichthyosis researchers from around the world. Leading experts in ichthyosis research met to compare their experiences. The details of this meeting will be outlined in a future issue of the Focus. On Friday morning, before kicking off, first-time participants had the opportunity to gather together and gain information from veteran conference attendees about how to make the most of their conference experience. During the opening program, everyone participated in ice-breaker activities to get to know one another. This paved the way for strong friendships to be formed over the course of the weekend. Child care was provided so that parents could attend the workshops and gain as much knowledge as possible. The children had a great time playing games. The older teens participated in a trip to Disney Quest on Saturday afternoon. Before the start of the conference, a very special presentation was made to the children in the child care room. Suzanne and Chandler Phelps handed out adorable stuffed turtles to the children. Suzanne is the mother of Dane Phelps who passed away 2 years ago at the age of 3 ½ . Dane’s favorite animals were turtles and his favorite place was Disney World. Suzanne explained to the children about Dane, his history, and his love of Disney, particularly Goofy. It was an emotional experience, but it felt as though Dane was present the entire time. At the very beginning of the Child Care Camp, FIRST member Merritt Andrews arranged for a baby alligator from Gatorland to be brought to the conference. Merritt explained that many times children with ichthyosis are called “alligator skin” in addition to other cruel names. She wanted to give the children an opportunity to touch an alligator. The skin is actually smooth! This will arm the children with clever retorts when faced with someone who is calling them names. The weekend featured a broad array of workshops designed to help affected families with school issues, doctor/patient concerns, and skin care ideas. Break-outs for moms, dads, affected adults, spouses, and young adults, are always a popular feature at the conference, and provide individuals the opportunity to share encouragement and concerns with their peers. Of course, the highlight of the conference is the Saturday night dinner dance, and this year was no exception. The excitement began with visits from Mickey Mouse and Cinderella, to the delight of every child, and some of the adults, in attendance. The 2nd Annual FIRST Idols Revue was a tremendous success with great performances by Maggie McCoy, Hunter Steinitz, and Rylee Iott, just to name a few. This year’s raffle, chaired once again by Jennifer See, was great and participants were excited to hear their names called when they won a prize. FIRST President Dave Scholl presented the “Volunteer of the Year” awards; for 2008, the volunteer of the year was Jennifer See, for her tremendous job with the 2008 Conference in Chicago and also for coordinating a scrapbooking fundraiser for FIRST. The 2009 Volunteers of the Year were Josh and Amie Jo DeGarmo, of Napa, California. The DeGarmos host a very successful golf tournament each summer. After the awards, the dance party was in full swing. With a fantastic DJ, adults and children alike danced long into the night. After lunch on Sunday, some participants reluctantly parted ways, while others stayed on to enjoy the Disneyworld attractions. Whether going home on Sunday or staying awhile longer, everyone left the conference armed with information, lotion samples, and life-long friendships and memories to take with them.